What?! It’s that time again? !…Playgroup time! Yay!!!! 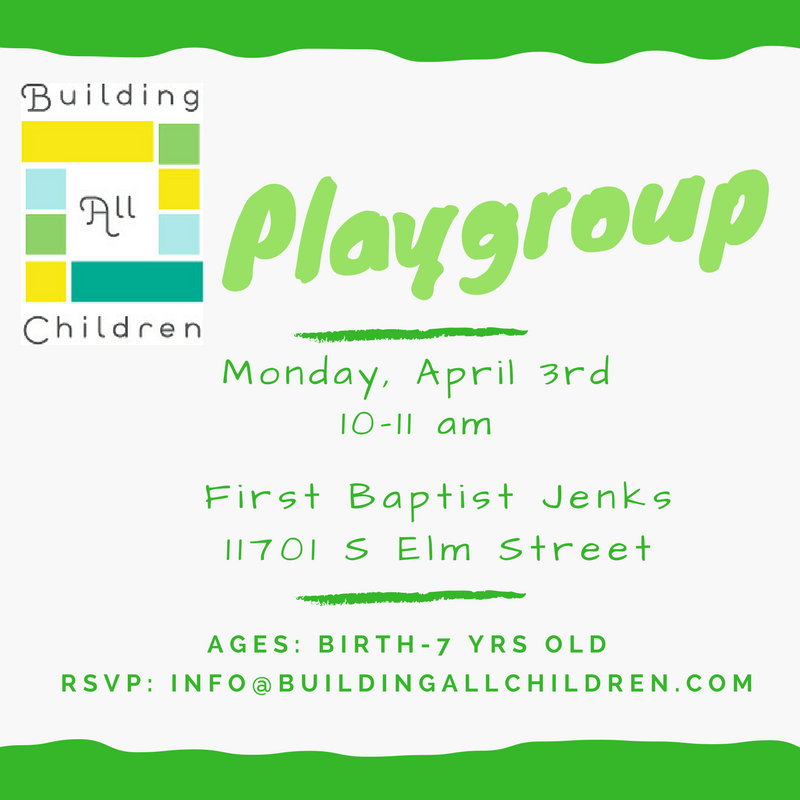 Please join us Monday, April 3rd from 10-11am at First Baptist Jenks. We have lots of fun Spring activities planned. We can’t wait to play and learn. Please RSVP and join us!!! !